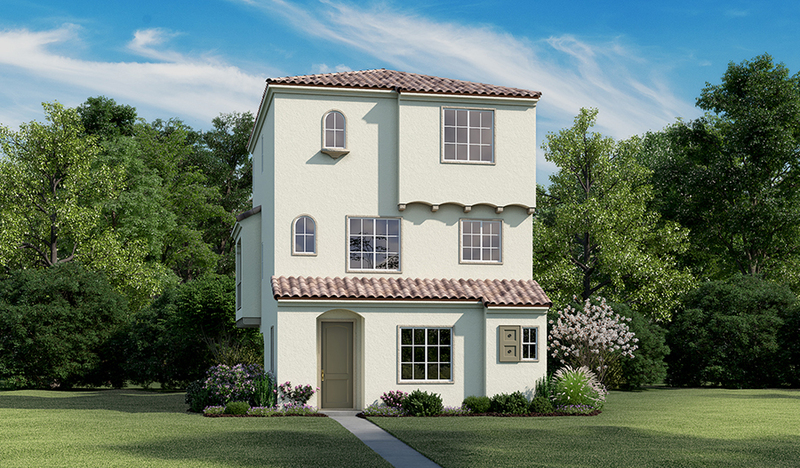 An elegant Spanish-style exterior gives this three-story home exceptional curb appeal. The lower floor showcases a convenient bedroom with a full bath. On the second floor, you'll love an open-concept layout with a dining room, living room—with access to an outdoor deck—and inviting kitchen with an island, stainless-steel appliances, quartz countertops, raised shaker-style white maple cabinets and a walk-in pantry. Lastly, head up to the third floor to explore a laundry room with a raised washer and dryer, plus two master suites! One master bedroom boasts a walk-in closet with built-in organizers, and both bedrooms feature an en-suite bath. Solar package, security system and audio system also included!